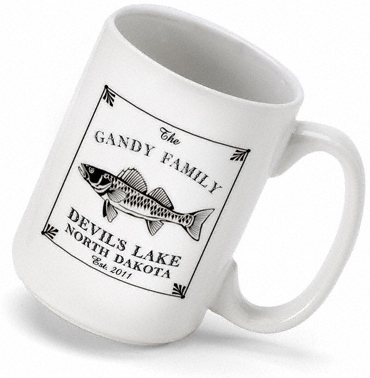 * Whether you're catching the sunrise over the lake or catching the morning bus, our Cabin Series Coffee Mug is the perfect way to savor your cup of joe. 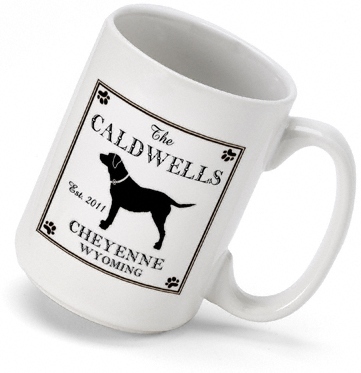 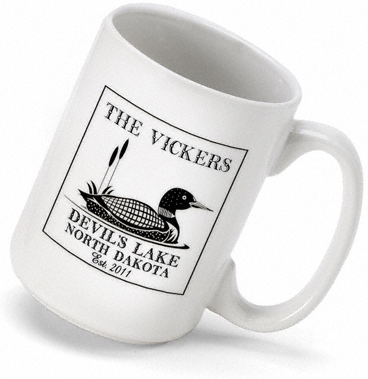 * Perfect for the cabin in the woods or ideal for the outdoor lover to use in their home year-round, the coffee mugs are available in nine designs and feature name, location, and established date as well as a choice of images. 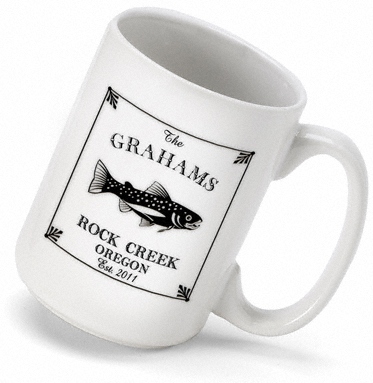 * Each heavy-duty white ceramic mug holds 15 ounces of your favorite beverage.